Ever since he officially left Konami, fans have been eagerly awaiting news of Hideo Kojima’s next project. After months of teasing and hinting, the famed game developer finally revealed his new project, Death Stranding, at E3 2016 this past week, where it soon became the highlight of the renowned gaming expo. While the game still has no official release date, between interviews, cryptic tweets, and the new trailer itself, there’s plenty we can tease out about the game. Here are a few educated guesses about what to expect in Death Stranding. Let’s get the most obvious guess out of the way right now: there’s going to be large amounts of references to past Kojima titles in this game. Just because the 52 year old designer doesn’t work at Konami anymore doesn’t mean he's had a massive personality transplant. If, while working in by what all accounts is a pretty toxic work environment, Kojima can work teleportation technology inspired by the late 22nd-century mech technology of Zone of the Enders into the 1980s setting of Metal Gear Solid V: The Phantom Pain, there’s no way there won’t be at least a few references to Metal Gear, Snatchers, and ZoE in Death Stranding. Metal Gear Solid V: The Phantom Pain is by most accounts a near-perfect game, mostly marred by external difficulties imposed during its development (although Kojima made a few mistakes of his own during the writing of the game.) Of these, Konami’s insistence that the game integrate extensive microtransactions is possibly the most crippling, severely limiting players that don’t use the game’s online FOB system and heavily incentivizing those that do to purchase in-game currency with real money. It seems unlikely that Kojima would retain one of the most controversial and unpopular additions from his last game for his new one, especially as Sony has given him a great degree of creative freedom on the game. This is a relatively recent revelation about the game, coming from a series of (unsurprisingly) cryptic tweets from Kojima himself. In the tweets, Kojima references the concepts of the “rope” and “stick” as mankind’s first inventions, a concept from the novel Kobo Abe’s novella Rope. In discussing the game’s online multiplayer, he implied that while most games revolve around players using “sticks” -- that is to say, violence--his game will use “ropes” to bring people “all around the world” together. What any of this means in terms of actual concrete gameplay remains to be seen, but delving into the topic of online multiplayer like this seems like a pretty clear confirmation that there will be some sort of online interaction in this game. Considering how most of his games have had fairly conventional game over systems (and even new spins with the same effect, like causing a time paradox in Snake Eater) this would be a fairly large departure for Kojima, but a game where death is largely unpenalized -- or possibly even absent entirely -- seems to be what he’s hinting at. Considering the outlandish imagery of the trailer, this may come as a shock, but interviews as recent as last May seem to confirm that the game might be more in line with other triple-A releases than one would expect. Kojima told renowned game magazine Famitsu that mainstream action fans would enjoy his game, specifically invoking franchises like Uncharted and The Division. Other than various rumored movie adaptations, there’s not a whole lot these games have in common with Kojima’s past work, and certainly not much they have in common with the brief glimpse of the game we’ve seen thus far, but coming right from Kojima, it’s pretty hard to dismiss. 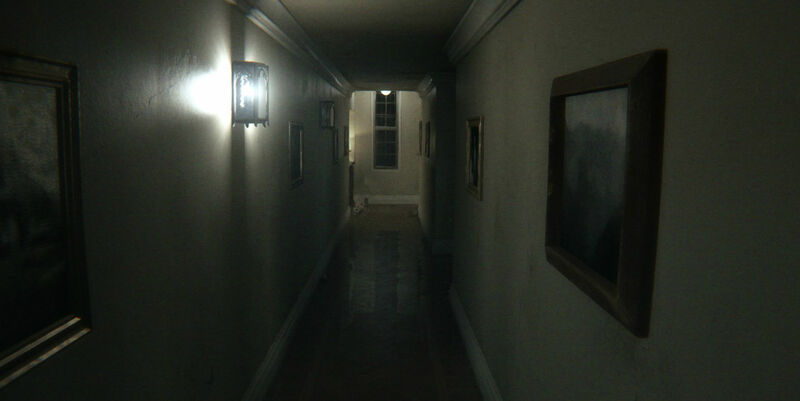 If his role in creating P.T., one of the scariest horror game experiences in years (and one that seems to be a heavy inspiration for the new Resident Evil) wasn’t enough of a clue, Kojima loves horror, and he’s got a history of inserting elements of the genre into his other games, from the spooky boss fight against The Sorrow in Snake Eater to the downright chilling events of Phantom Pain’s incredible opening sequence. From what we know of Death Stranding, it seems unlikely that Kojima will break that trend here. Focusing on Norman Reedus (who portrayed the player character of PT) and an infant is just too close to the acclaimed horror hit to not include a few scares, and the works of Junji Ito have strongly demonstrated that dead ocean life can result in some pretty horrifying scenarios. From here on out, every guess made about the game comes from the trailer itself, starting with the proposition that the game takes place at some point in the future. The drastically altered sea levels and mysterious monoliths are slight hints that this isn’t happening in our version of the present, but the clincher is Norman Reedus’ character’s hi-tech flickering handcuffs, and the infant's clearly technological tether, reminiscent of an umbilical cord. These details, combined with the general environment of the trailer, seem to indicate that we’re not dealing with the same level of technology we have access to today, and that it’s a dramatically different vision of the future aesthetically from the brown-gray nanobot-based reality of Metal Gear Solid 4. This one’s a bit of a stretch given what we know so far, but there are a few things that hint that an alien invasion of some kind is the main conflict of the game. The noises coming from the monoliths seem deliberately indecipherable, as does their eerie still position in the sky and difficult to discern appearance. On a more shallow level, the general vibe of the trailer feels very similar to other alien invasion stories. The way Norman Reedus holds and instantly forgets his baby, along with the handprints slowly appearing on him, is reminiscent of concepts from Doctor Who like The Silence, and the color palatte, along with other elements we’ll discuss later, are reminiscent of Edge of Tomorrow, a movie Kojima is fond of. That’s something of a clincher--if there’s one thing you can count on with Kojima, it’s finding a way to shoehorn-in a movie reference. The situation presented in the trailer is vague, but certainly seems far from ideal. Norman Reedus is naked on a beach, surrounded by hundreds upon hundreds of dead crabs and fish, before the camera pans out and reveals even more seemingly deceased marine life scattered amongst jagged rocks, including several whales. While the imagery and title of the game -- Death Stranding -- suggests sea creatures stranding themselves on a beach, there’s another explanation for the trailer that seems much more plausible but simultaneously far grimmer: the beach isn’t actually a beach at all, but rather the ocean floor with the water having been siphoned away. This would explain the sheer magnitude of dead sea creatures, and instantly establish whatever threat the player will be facing off against as a force to be reckoned with. Again, the situation seen in the trailer is vague, but there are a few clues that suggest Norman Reedus’ character probably starts the game out as someone who’s less than eager to dive into the fray. It’s obvious from his dog tags that Reedus plays a soldier in Death Stranding, which would explain any combat-related skills he puts to use in the game, but the handcuffs he wears imply some form of coercion. At the end of the day, Kojima is Kojima. There’s absolutely no way the developer that elaborately tricked fans into playing as a character that was the deliberate antithesis to the hero they wanted in Metal Gear Solid 2 is going to give his game a generic, blank-slate protagonist. Similarly, there’s almost no chance that players will start out knowing all the details of Norman Reedus’ character. Instead, they’ll be slowly revealed to the player throughout the game, whether it’s via long, expository cutscenes like the first four Metal Gear Solid games or an audio-diary system like Metal Gear Solid V: The Phantom Pain. At first, all the world knew about Kojima Production’s new logo was that it was vaguely reminiscent of the “Militaries San Frontieres” symbol introduced in Metal Gear Solid: Peace Walker. It was eventually revealed last month that the symbol is actually part of a larger suit, which Kojima refers to an “Extra Vehicular Activity suit,” and referred to this new mascot character as Ludens. The connection to Death Stranding comes in another image of Ludens released in early June, revealing a shot of the suit wearer’s eyes and the caption “I’ll Keep Coming.” The quote now seems like a direct reference to the song by Low Roar used in the Death Stranding reveal trailer, which links the suit to the new game, and the color and shape of the eyes behind the mask seem very similar to those of Norman Reedus’ character. It certainly makes sense -- what better way to introduce your studio’s new mascot than with a starring role in its first game? Kojima does not introduce concepts lightly. PT’s cryptic plot revolved around a horrific murder that included an unborn fetus, which appears in several forms throughout the playable teaser. Metal Gear Solid and Snake Eater, meanwhile, are heavily focused on the relationships between two brothers and a mother figure and her children, respectively. These past thematic interests make it seem pretty unlikely that the baby shown in the trailer is just a throwaway character for shock value, or even a tongue-in-cheek reference to the canceled Silent Hills game P.T. was a teaser for. If anything, that makes it even more likely that the baby’s role in this game is a critical one; Kojima probably had a lot of concepts he was itching to elaborate on in Silent Hills, and it’s only natural to experiment with this new game as an outlet. One of the most intriguing elements of the trailer is in the sudden appearance of hand and footprints in the sand, accompanied by a bizarre oily liquid. Equally intriguing is Norman Reedus’ reunion with the baby, which he initially cradles in joy but instantly changes gears when it disappears, leaving his hands covered in the oil and tiny handprints crawling down his leg. As so many Kojima trailers do, this one opens with a quote that seems somewhat indicative of what’s in store: a William Blake quote concluding in “Hold infinity in the palm of your hand, and eternity in an hour." Some experimental form of time-travel could explain the sudden appearance of hand and footprints throughout the trailer, and if utilized properly, could even tie into the game’s unique treatment of player death. The moment where Norman Reedus’ character picks up and embraces the infant on the beach is an emotional one, even beyond the visceral reaction of the rescue of a seemingly endangered child. The genuine joy and sobs of relief on Reedus’ face are reminiscent of a parent, and the umbilical cord leading from the child towards Reedus’ body visually reinforces that connection. It wouldn’t be Kojima without a twist, and the aforementioned umbilical cord, combined with the peculiar scars on Reedus’ character, give a few possibilities for the baby’s origin other than it simply being a baby separated from Reedus’ mother. The vertical and horizontal components of the scar resemble autopsy incisions and the scarring of a c-section, respectively. The autopsy scars could again tie into this game’s way of dealing with death, while the c-section scar raises the possibility that Norman Reedus actually gave birth to the infant at some point, making the umbilical connection much more literal. A trans character wouldn’t be too far of a leap for Kojima, whose games have included gay, bisexual, and lesbian characters in times where such diversity was very rare. The other intriguing thing about the scars is their location: the scars intersect right on the character’s navel, seeming to replace it entirely. This total, and seemingly violent, removal of the original connecting point between a baby and the umbilical cord could imply that Reedus and the baby are both products of some kind of cloning or human production system, a sci-fi concept that again wouldn’t be out of place in a Kojima game. Whatever the case may be, we’ll all find out when Death Stranding eventually hits the PS4 and PC. Do you have any theories about what Kojima has in store with his new game? Let us know in the comments below!